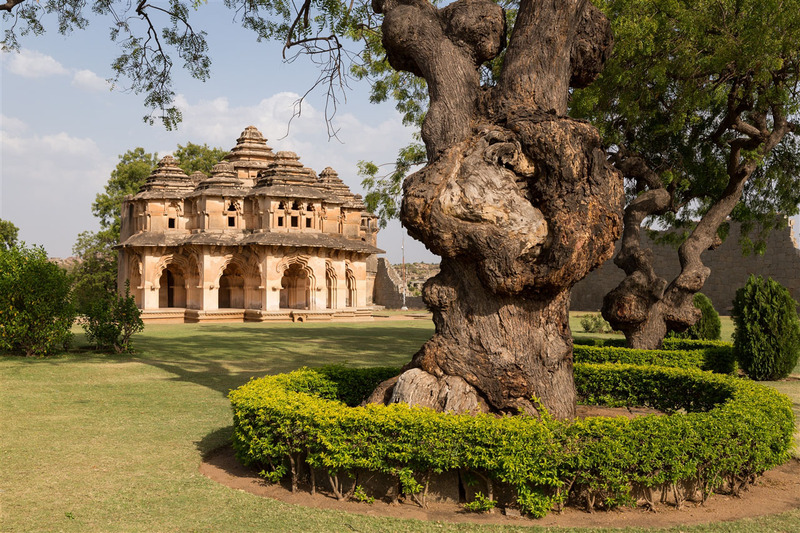 Also known as Chitragani Mahal and Kamal Mahal, the Lotus Mahal is located within the Zenana Enclosure of the Royal Centre of Hampi. 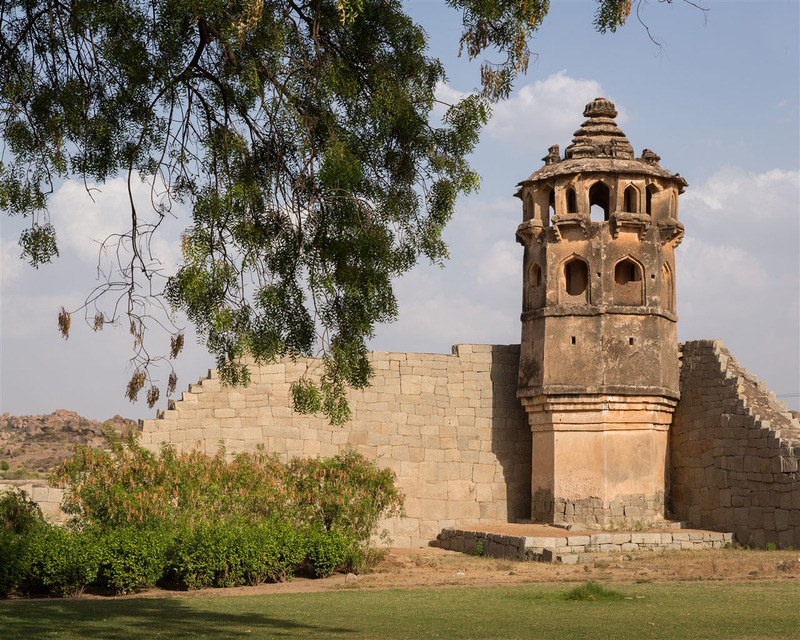 Within the enclosure are also the remains of two palace basements, three watch towers, a vaulted rectangular structure, and the two storeyed pavilion of the Lotus Mahal. 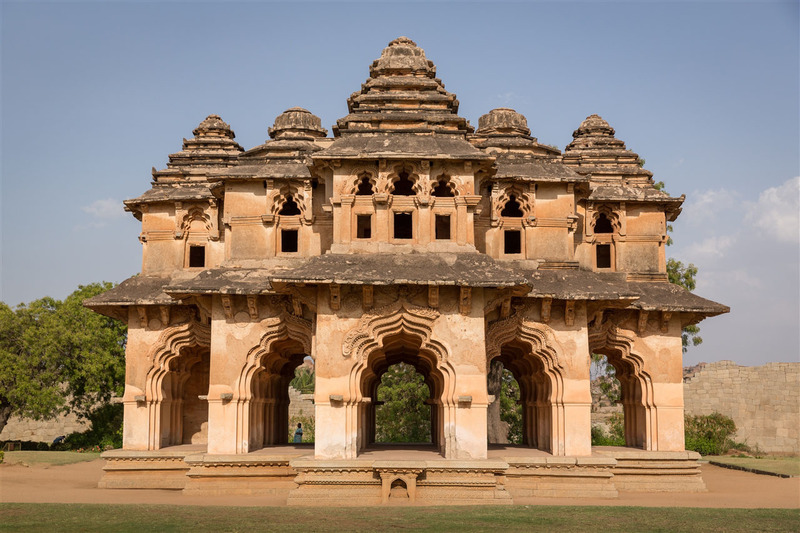 Built in the 16th century, it’s one of the best preserved of all the courtly structures at Hampi, and was left undamaged during the siege of the city. The current theory is that the Lotus Mahal was used as a council chamber. 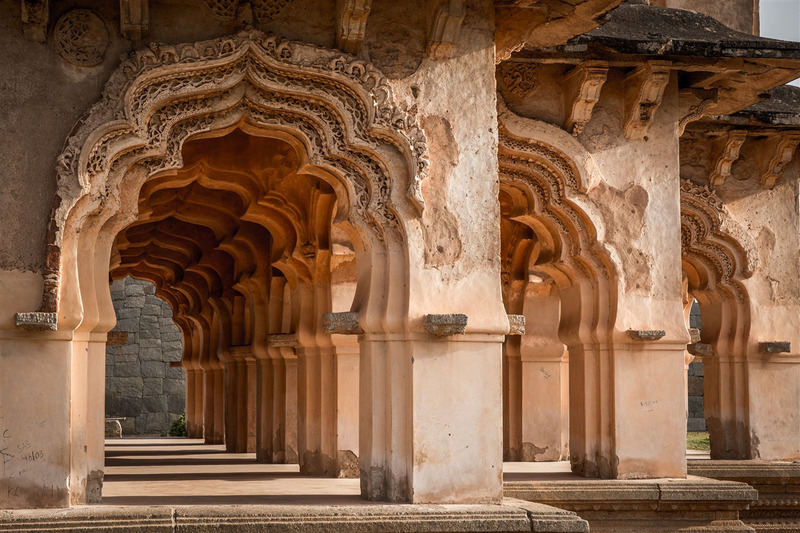 It became known as the Lotus Mahal for two reasons; the archways and the balcony with a domed construction resemble a half opened lotus bud, but also there is a lotus bud shape carved on the center dome. 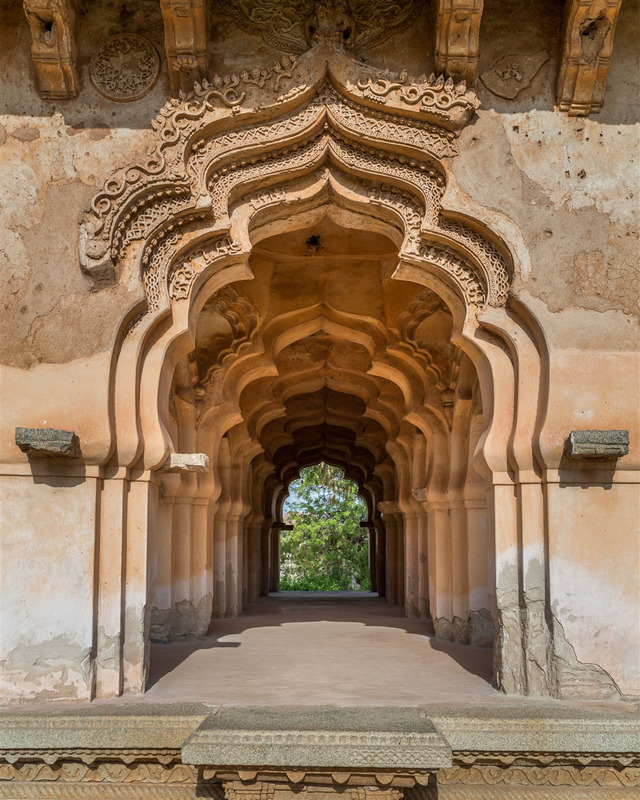 It’s a pleasant mix of Islamic and Hindu architectural styles, and a pretty building to photograph before you move on to visit the Elephant Stables that lie just outside the walled Zenana Enclosure. There’s also some pretty gardens laid out in the enclosure, it’s a lovely spot to have a rest if you’re not here during the main heat of the day. I found the perimeter wall construction quite curious. 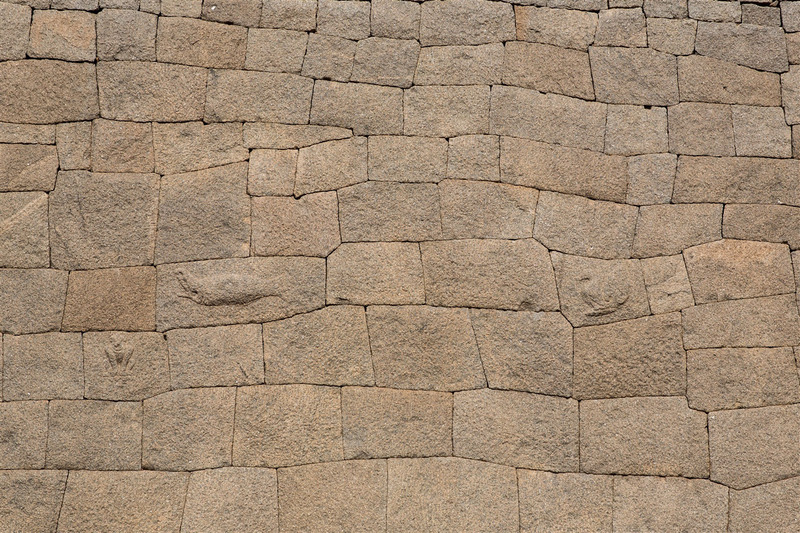 The way the stones have been purposely chiseled to fit perfectly together is very reminiscent of Inca stonework of the same period in Peru. The Inca masons are famous the world over for this style of construction and the effort it entailed, and yet here is the exact same thing and nobody ever makes any reference to it. Why is that I wonder ? Super nice Kevin. Appreciate and love your work. Neatly done and presented. Thanks for your efforts. 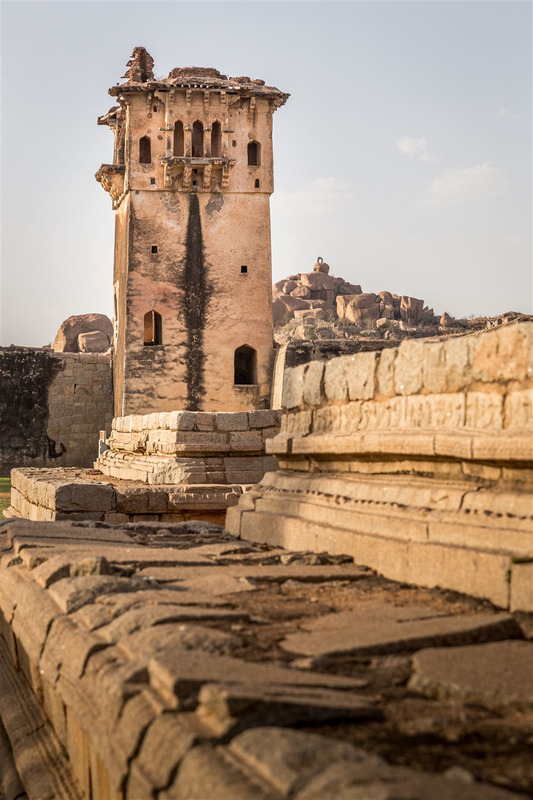 Thanks for the comments…it helps to have a place like Hampi to photograph !